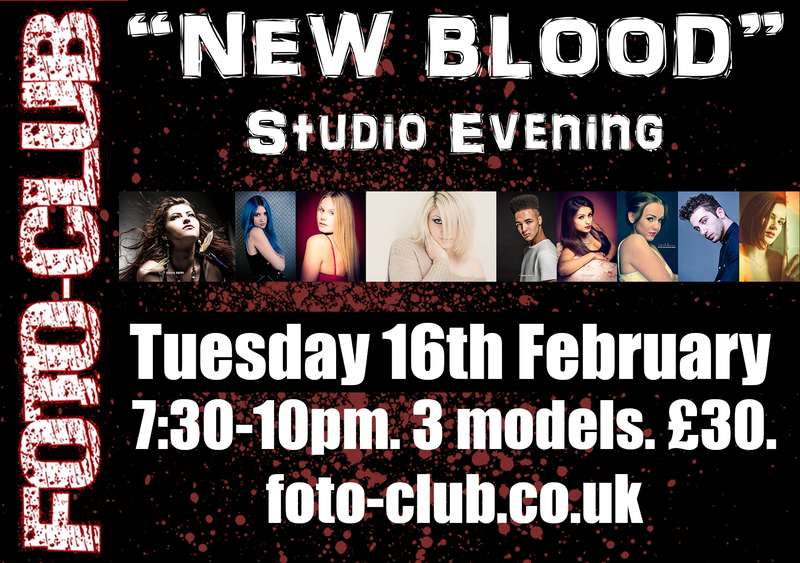 One of my favourite regular events is the “New Blood” studio evening. 3 (usually) models that haven’t been seen at our events before, although occasionally I’ll have worked with them on my own or client shoots. On the plus side, this is a great chance to see how new (or new to my studio anyway) models perform for the camera and especially in a group-shoot environment. Over the years I’ve been putting this event on, I’ve found some great models who I’ve gone on to work with many times. The downside is that sometimes when booking models that are “unproven” based upon a portfolio on a modelling site, there’s the chance that they’ll let you down. Sadly, this happened the last time I staged this event – a model that I’d booked suddenly “went AWOL” and refused to answer her phone on the day, leaving me a model short. I noticed on social media the next day that she’d been on another shoot but hadn’t seen fit to let me know so that I could at least have tried to find a replacement.